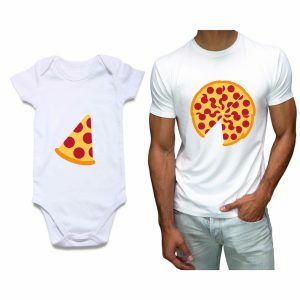 100% Cotton white color half sleeve romper for baby and half sleeve t-shirt for men. 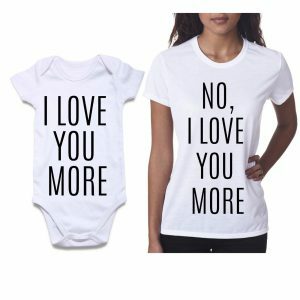 Special valentine t-shirts for little one and dad also. Text print on baby romper “Papa Kehte hai” and text print on men tshirt is “Beti beta mera naam karegi “.